Until now breaking the outline and adding subtle camo to the zoom part of any lens has been a problem, But now Outdoor Photography Gear have solved the problem! THE ZOOM SOCK can be added to any zoom lens that is using our neoprene lens covers. Sigma 50 - 500 Sigma 150 - 500 Sigma 170 - 500 Sigma 120 - 400 Sigma 150-600. Until now breaking the outline and adding subtle camo to the zoom part of any lens has been a problem, But now Outdoor Photography Gear have solved the problem! Condition is Used. Smoke and pet free. Double zippers. Pockets for accessories. Weight 250g. Product model: Nikon D3500 in Camouflage. High quality silicone. Screen protection included. Sigma 18-50 mm zoom lens. Carrying Case. Selection of filters, Leech 47mm & 49 mm. Tokina 70-210 mm 1:4-5.6 lens. Condition is Used. The P610 is a firm favourite with bird, plane and train spotters, pretty decent zoom at this price point. P.S supplied with a genuine Nikon battery but no SD card as this is a personal preference. 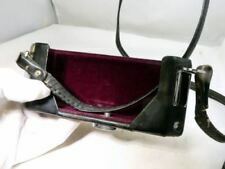 Nikon Coolpix 5400 Leather Case, with shoulder strap. Brand new. Genuine vintage Nikon canvas style Blue and Tan DSLR Camera Bag. Immaculate. In immaculate barely used condition. The empty Bag weighs 670 grams. 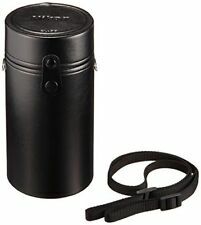 Nikon Lens Case / Bag - Black x3. Condition is Used. Dispatched with Royal Mail 2nd Class. Zipped protective overlap closure. adjustable shoulder carrying strap. Simple design for functionality, durability and protection. The case itself is waterproof, and rain cover provide extra protection. Nikon CL-39 Semi Hard Leather Lens Case for reflex 500mm f8 Japan 994. 1 ND 4 x 39mm lens 1 B2 39mm lens and 1 A2 39mm lens. Inside the case is a strap a lens cover in the lid there is a small case with. Nikon D3100 With Nikon DX AF-S Nikkor 55-200mm 1:4-5.6G ED Lense Plus Standard lens, charger and lens case. The product is used, but in great and fully functional condition. Nikon Flight Bag This was a prize offered by a main Nikon dealer for the best performing sales team. I won this over 20 years ago and has not been used,just put away in a cupboard and so is in excellent condition.At the time we were told that it was a limited edition only available to dealer staff.international delivery would be £20.00 please ask if you would like any further information. NIKON Camera case / cover CF-52. Condition is Used. Dispatched with Royal Mail 2nd Class. Takes a DSLR camera body plus lenses and SD cards etc. 27cm x 15 cm x 25cm high. In very good condition. See pictures. A very useful bag. The zoom tube cover fastens round the zoom tube with velcro so it's easy to get on and off. 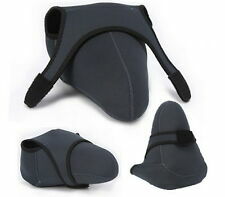 The neoprene protects the lens as well as well as camouflaging it. The Neoprene is lined on the inside in black and is reversible if you prefer plain black. Number of pocket(s):3. 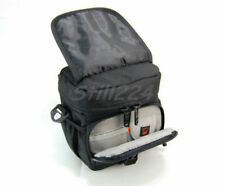 Water resistant padded polyester bag. Nikon CB-N2000 Body Case for Nikon J1. Condition is New. Dispatched with Royal Mail 2nd Class. Nikon CL-0918 Soft Lens Case Pouch. Nikon 55-200mm. Mint and clean condition on the outside. No stains or marks to the material, only the very faintest of scratches to the buckles. A single scuff to the inside. 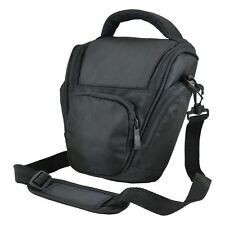 Carry handles on top and removable & adjustable shoulder strap. Case Pouch Bag 16x5x7.5cm for Nikon camera or lens. Used. Condition is very good. Dispatched with Royal Mail 2nd Class. The neoprene protects the lens as well as well as camouflaging it. Also the cover only extends to the tripod foot so when you turn the foot the aperture for the switch bank doesn't move with the foot. Plus a few other bits. Just needs an sd card plugging in and you're ready to go. This bag has a Black exterior where the fold back top cover is of a waterproof vinyl texture, and the rest of the bag is fabric. The top section is accesses via a clasp-fastened top panel to reveal a light grey interior with two padded dividers which can be moved to adjust your particular needs. Nikon camera bag. Condition is Used. Dispatched with Royal Mail 2nd Class. AF-S DX NIKKOR 35mm f/1.8G. Nikon CL-0913 Soft Lens Case Pouch. To fit the following lens. This does not fit FG body with finger grip attached. Also fit S3000, S3100, S3300, S3500, S3600 and S3700models. for Coolpix A300. Custom fitted for the A300. Invisible Magnetic fastener and belt loop. Genuine Nikon. 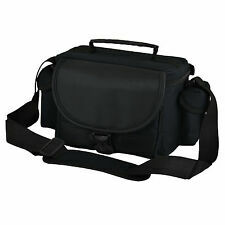 Nikon Gadget bag in Excellent used condition, approx 30cm x 12cm x 25cm inside, 2 front pockets and pocket inside top. 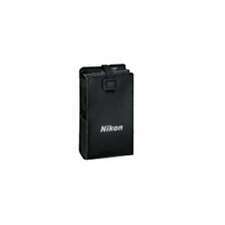 Nikon Coolpix S7000 Camera Case. Condition is New. Dispatched with Royal Mail 2nd Class. Please note the case for sale is exactly the same one as used in the photos but is in a sealed bag without the yellow description card. Nikon D200 Rubber Armor Case. BOXED IN UNUSED CONDITION, COMPLETE WUTH LENS HOOD PLUS USEFUL REAR LCD PROTECTOR. Nikon camera case. Condition is Used. Dispatched with Royal Mail 2nd Class. Fits: L15 L14 L12 L11 L10. Nikon 1 S1 Digital white camera with matching case in white leather, mint.